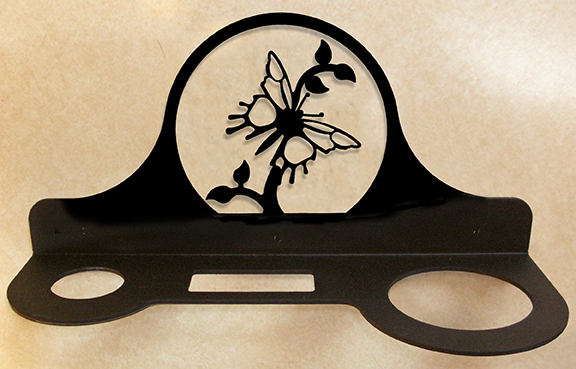 Our hair dry holder / organizer is created of wrought iron and features a butterfly silhouette. It also has spaces for your flat iron and curling iron as well as a matte satin baked-on powder coating for moisture resistance. This American made wrought iron hair care caddy / organizer is handcrafted in Fabius, New York, by Village Wrought Iron.